Today I want to introduce you to a whole big world of wholesome, Christian romance books all contained in one small Texas town. The cool thing about it, is that some of us here at Inspy Romance are a part of that world. (Me included) And today, we’d like to invite you to come have a look around. 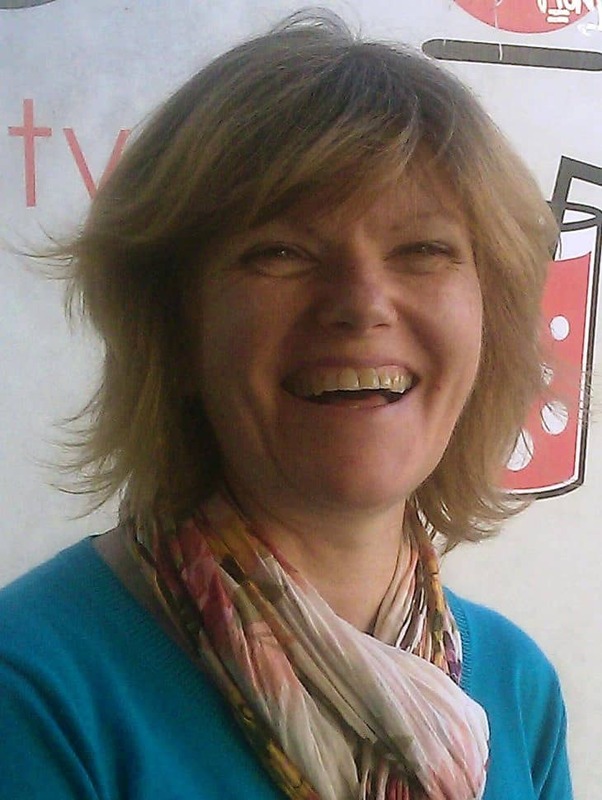 But first, I want to introduce you one of our authors who will be releasing a book in the first Sweet Grove World round on July 19th. That’s this week! I’m excited about every book I write and every new release, but this one is extra special. It’s an honor to be one of the twenty authors with books in the official launch of the first ever Christian Contemporary Romance Kindle World. My book, Love’s Healing Touch is also the first book I’ve written with a nurse heroine, after thirty-plus years as a nurse! When nurse Lainie Sullivan’s beloved father dies, she vows to fulfill his retirement ambition — to visit each of the mainland US states on his vintage motorcycle, raising funds for cancer care. But a simple overnight stop in Sweet Grove, Texas, stretches into weeks as she waits for replacement motorcycle parts to arrive. The warm welcome and uncomplicated faith of the townsfolk make this place feel like home, healing her faith — and her heart. As does working on her bike with Adam Davis, a wounded warrior with a knack for tinkering with old bikes, who she nursed in the military hospital. But for Adam, a war still rages, as he battles survivor guilt, anger with God, and adapting to the life-long effects of his injuries. His worst scars aren’t the ones on his body but the ones on his heart and soul. Will Lainie’s love and faith be enough to help him heal, when soon she’ll be moving on? How did you end up working on this particular project? I’d already read and enjoyed Melissa Storm’s romances set in Sweet Grove, so when she asked around for authors interested in writing for a new First Street Church Kindle World for sweet and Christian romances set in the town, I was one of the first to sign up to find out more. It’s an interesting challenge – my first time writing a story where the setting and some of the characters already exist out there in StoryWorld! Another challenge was that the recommended length is shorter than I usually write, so I needed to take extra care to ensure I still give readers a full and satisfying romance but in fewer pages! The Kindle World series is set in a small Texas town, how did you manage to get a feel for the story setting? Are you from Texas? 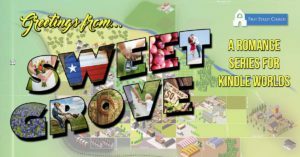 If no, then where are you from and did you draw from your real town to write about Sweet Grove? I’ve never been to Texas, no! I’d love to visit, but unfortunately I have a pesky health issues that prevents me from traveling. I’ve lived in small rural towns, so was able to draw on that. Plus I’ve read a lot about Texas, read all the original books set in Sweet Grove to get a good feel for the town, driven the highways on Google Street View, and talked to Texan friends. Not quite the same as being there, but hopefully enough! I’ve done driven down many google map streets, too, for research. That’s great! What kind of research do you do, and how long do you spend researching before beginning a book? I don’t spent a set time on research, though every book, even the ones set in London, a city I know well, require some research. My record is a month for a historical romance which I never did finish and publish! The least ever needed is a day. I tend to research, jump in and start writing, research again if I hit something I need to know as I write. This book needed a lot more than I expected! Everything from Texan speed limits to motorcycle repairs and modifications for differently-abled riders! As well, because my hero is a wounded ex-Army medic, I needed to know what he would have done in the Army, the injuries likely from a bomb blast, what the pathway is for military personnel injured while on active duty, and the procedure for medical discharge. I spent one very full day on research, thought that would be enough, and started writing. The next day wanting to check one tiny fact sent me off doing a load more searching and reading, when I discovered that the wonderfully helpful article I’d read following some wounded warriors through their journey from battlefield to rehab was years out of date. The process completely changed in 2011 when the Walter Reed National Military Hospital moved from Washington DC to Bethesda. I also spent a lot of time chatting and brainstorming with a few other authors writing for the First Street Church as we wanted to have our characters be brothers and sisters in the same family. Unfortunately after getting excited and making a lot of plans and investing way too much time in this, we discovered that doing that would be against the rules for this particular Kindle World. I needed to find my hero a new family and a new home in a hurry! Do you live in a small rural town, or city? Which do you prefer? I love both! I’ve lived in big cities and small towns, and each has it’s own advantages. The cities have buzz, and always something interesting happening, The small towns have more nature, wildlife, and room to move. I now live in a small English market town, only 45 minutes train journey from the heart of London, so it gives us the best of both. That sounds wonderful! Does the place you live influence the setting in your stories? Not the place I live now so much, but many of my English romances are set in cities and towns I know well and love, because I’ve either lived or worked in them. As the town we’re in now was once a coaching stop on the Great North Road, and still retains many historic features, I do play with the idea of writing a few Regency romances set here. But I have way too many contemporary romance ideas on the go to do that yet! So many stories, so little time. Right? Is there anything you hope the reader will walk away with after reading your books? I always hope that my books will uplift and inspire readers with a reminder of God’s love and grace, as well as entertain. That’s my prayer with every book. Million dollar question, are you working on another book? Will you write more books for the Sweet Grove kindle world? LOL, I’m ALWAYS working on another book! I joke I have enough story ideas queued up to keep me writing another twenty years, even if I never had another new one come to me. That actually isn’t an exaggeration! I’ll definitely be writing more stories for this Kindle World, God willing! I’m hoping the next will be a Christmas story, for a special Christmas book group launch happening November 27. Thanks for interviewing me today, Jackie, it’s been fun chatting with you! I’m looking forward to seeing all the great stories that come out of this new Kindle World. I love especially that they are inspirational based romances. The author and reader communities that have started to build around this world has been extraordinary to witness. For readers, I encourage you to check out the First Street Church website. There you’ll find links to all the books available and those that will be released in the future. I’ll have one coming out in November with the second release run. More on that later. You can sign up for the Sentinel newsletter where you can keep up with new releases and other special deals. And you can join the Facebook readers group. All these links can be found on the First Street Church website. Hope to see you all around in Sweet Grove. ARE HIS WOUNDS BEYOND EVEN LOVE’S POWER TO HEAL? When nurse Lainie Sullivan’s overnight stop in Sweet Grove, Texas, stretches into weeks, the warm welcome and uncomplicated faith of the townsfolk make this place feel like home, healing her faith — and her heart. As does working on her motorcycle with Adam Lane, the wounded ex-Army medic she nursed. But for Adam, a war still rages. His worst scars aren’t on his body, but on his heart and soul. Can Lainie’s love help him heal, when soon she’ll be moving on? Find out more about Autumn’s writing on her website. Great interview, ladies. Congratulations on your release, Autumn. Great cover and such a cute photo of you! HI Jackie and Autumn. This series is new to me, so thanks for spreading the word. I enjoy stories that are linked, like the Arcadia Valley series, it is fun keeping up with various characters in the same town. Hi Jackie and Autumn! Thanks for sharing about the new launch by YOU and twenty authors of the first ever Christian Contemporary Romance Kindle World. This last year through blogs, posts, newsletters, and FaceBook pages and posts, as a reader it has been interesting to see new out of the box thinking for book series. Fascinating. Thanks for sharing. Even as a reader, I did some research on Kindle World publishing, a new concept for me. The name of the small community Sweet Grove and First Church peeks my interest. Our small town also has a First Church. Best wishes on the releases in this new series. Thank you Renate. It is amazing what authors are coming up with. But when you have a group of creatives putting their heads together, there will be unlimited possibilities. I am looking so forward to reading this series! I live in a small town too. Hope you enjoy all the wonderful stories. Fantastic interview, ladies! This is an exciting experience, isn’t it! Wishing you both huge success with the launch! This has been such a fun series to be a part of! I loved hearing more about how you brought your story to life, Autumn–and can’t wait to be a part of the July 19 and November 27th launches with you. I think readers are going to love these sweet stories and this charming Texas town. I think they are too. It’s such a great little town. I’m excited about being part of the November 27th launch, along with you. What a great interview! The book sounds fabulous. Thanks for the chance to get to know one of the First Street Church authors (and the characters of her book) a little better. Can’t wait to read it! Writing can be such a lonely pursuit. One of my favorite things about being involved with the First Street Church Kindle World (November 15 launch) is connecting with so many other like-minded authors. I have a feeling there are going to be too many great stories in this “universe” to read them all. Best of luck to you Autumn and Jackie! Thank you Becky Muth and Sharon Hughson for stopping in. I’ve had a blast interacting with all the First Street authors and readers. What a great bunch. I really enjoyed this interview I hadn’t heard about this Kindle World set. I’m looking forward to checking it out. Thanks. There’s a link for Authors on the website if you want to find out more. Great interview, Jackie! I love all Autumn’s books, but as soon as I read the blurb, I had a feeling Love’s Healing Touch might become my favorite. I really do love everything about this book: the wounded hero, the title, the cover, the motorcycle angle, the small town of Sweet Grove! I look forward to visiting Sweet Grove. Best wishes on the launch! I had heard about this World at some point but didn’t really got it until today. Thanks for the interview and details. Ooh, will definitely be checking these out. Sounds like another Arcadia type idea, and I love that! Right. I can see the similarities, too. I think this is a great idea for new collections. You know? Hi Jackie and Autumn,I loved this blog post and the Kindle world in Sweet Grove. I have been reading some of the books and look forward to more. I look forward to Autumn’s book, I am a retired Texas nurse. That’s great. I’ve been enjoying the books, too. Best wishes with the new adventure! Wow, this is all so interesting! Can’t wait to check out all this! Loved the book cover – beautiful. Enjoyed the interview. New to this site & already enjoying it. Thanks everyone! Loved reading all the comments! Jackie sent me some great interview questions. And when her first book for the Kindle World launches in November, I’ll be interviewing her right back! I also loved writing this story. And that cover couple are busy and get around a few other covers too, but I still love them. I had a wonderful time doing their cover. The process of working with the other authors in this launch and the following launches has been amazing! A lovely, helpful, harmonious group. I’m looking forward to reading their books! Interesting series… I love the cover of your new book and the picture of you. Look forward to reading this book. Congrats on the new book Autumn! I Just heard of this KW Town this morning sounds like a great bunch of books.